In another case, a Saudi man divorced his wife after she forgot to put the sheep head -- 'the most important part of the dinner' -- on the main dish presented by her husband as he hosted his friends for dinner. 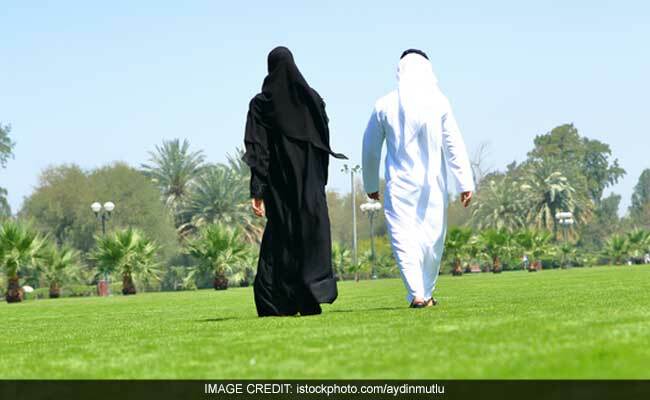 Dubai: A Saudi man has divorced his wife for walking ahead of him despite repeated warnings, a media report said today. Saudis are becoming increasingly alarmed over the rate of divorces in the kingdom for trivial reasons as growing calls are emerging to provide married couples, especially newlyweds, with counselling services. The man, who was not identified, gave his wife repeated warnings to keep a step behind him, but she kept walking ahead of him after which, he divorced her, The Gulf News quoted the Saudi daily Al Watan as saying. In another case, a Saudi man divorced his wife after she forgot to put the sheep head -- "the most important part of the dinner" -- on the main dish presented by her husband as he hosted his friends for dinner, the report said. The woman said that after the guests left, her angry husband accused her of embarrassing him by forgetting to present the most important part of the dinner to his guests. In another case, a husband divorced his wife during their honeymoon for wearing foot bangles. Humood Al Shimmari, an official who conducts marriages, said that there has been a spurt in divorce cases in the last two years. He said that while there are many reasons including evolving views towards traditions and social norms, modern technology was the key culprit. Lateefa Hamid, a social consultant in Saudi Arabia, said: "Families should educate their young men and women and encourage them to engage in psychological, social and religious awareness and education programmes that will protect future spouses from family problems".